A boxwood per day helps keep the doctors away! 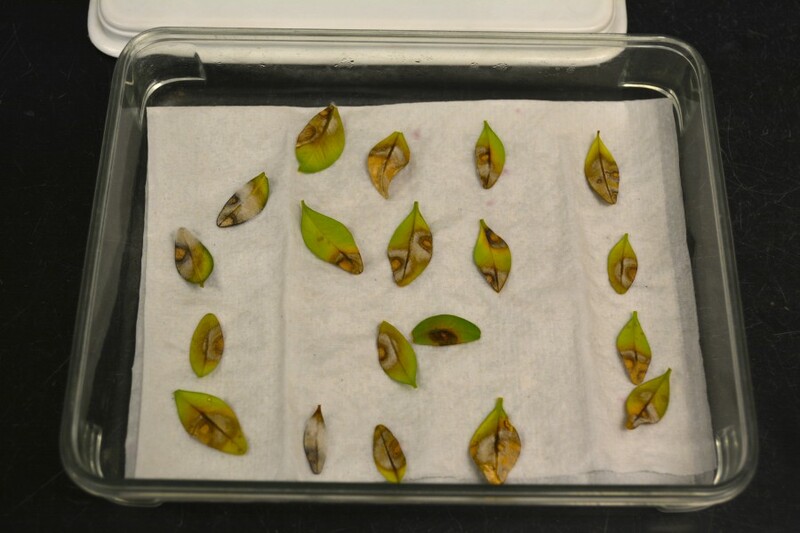 All of us here in the Plant Diagnostic Lab must be pretty healthy then–since the boxwood blight outbreak in 2013, we get a dose of dead boxwood almost every day. Of all the samples of boxwood we get, only 19 in 2013 and 2 in 2014 were diagnosed with boxwood blight. Nearly all of the rest have been afflicted with one or more of the usual suspects; Volutella stem blight, Macrophoma leaf blight, boxwood leafminer, boxwood mite, psyllid, or some abiotic stress like winter damage. That is, until last Friday when boxwood blight came roaring back into our lives with a vengeance. All the old rules apply–eradicate, eradicate, eradicate! Be careful where you source your transplants and please don’t move infected plant material. 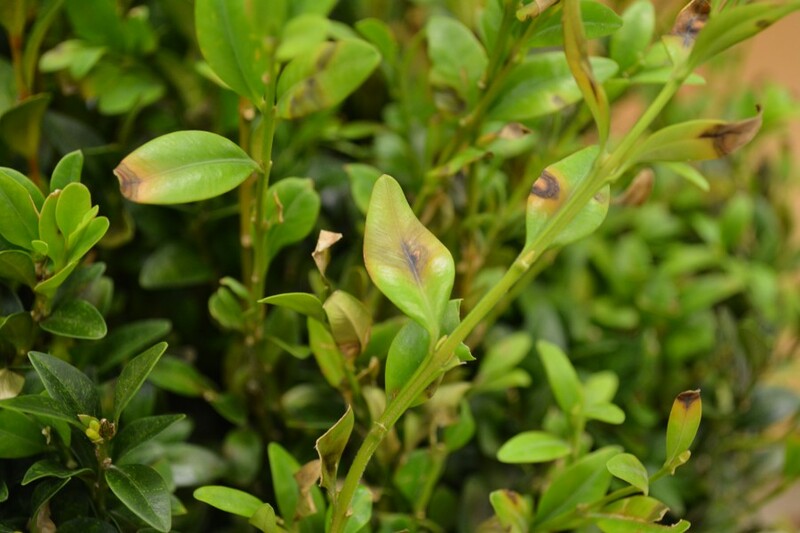 Here is a nice factsheet on boxwood blight management in the home landscape.